All Posts Tagged With: "Jessica Szohr"
Jessica Szohr, the bohemian, downtown actress from hit television show, Gossip Girl, is the cover subject of ASOS Magazine’s November 2010 issue. Jessica Szohr’s Makeup: Actress Jessica Szohr made her mark on the red carpet of the “Piranha 3D” premiere. mark Celebrity Makeup Artist Mai Quynh shares with Marta Walsh and Talking Makeup how-to makeup tips for creating Jessica’s gorgeous makeup look. “For Jessica’s face, I started by applying mark Calm & Composed Super-Soothing Moisturizer to create a nice canvas. Next, I applied mark Face Xpert Flawless Touch Makeup in Golden with the mark Foundation Brush to even out her skin tone. A French friend of mine called me the other a Francophile. In translation it’s basically a person who has a strong interest in, or admiration for French culture. Hey, I learn everyday, and this one I’m adding to my vocabulary at once. What I know for sure is that I’m a person with a strong interest and love for French skincare! I would like to share with you my list of French skincare lines that I absolutely love for my skin in general, and particularly my under eye. I believe there are some things in life that you need to invest, like good shoes, and a good eye cream! Here it is, Marta’s favorite eye creams or eye treatments, oo la la..Eye Dream by Talika and Eye Therapy Patch by Talika. SAMPAR Eye Rule peptide & adenosine under eye cream. And, Orlane Absolute Radiance Lightbox or Orlane éclat absolu Lightbox. Eye Dream by Talika ($55): Apply at night under eye, (I cheat and I also apply during the day, works & feels amazing, shu…). During sleep, the delicate skin around your eyes loses up to 50% of its moisture and is most biologically receptive to external hydration and nourishing ingredients. Eye Dream by Talika can help in keeping you under eye very nourished, hydrated, and refreshed. I love using Eye Dream after a long day of work (blogging that is:) or a big night out. It immediately revives my tired eyes. You might also like Eye Therapy Patch by Talika ($62): This patch is a pleasant, effective, natural and comfortable solution for combating wrinkles, circles and under-eye puffiness. Visit www.talika.com to further explore the brand. 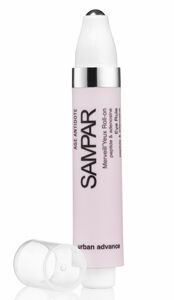 SAMPAR Eye Rule peptide & adenosine under eye cream ($78): Celebrity fans: Famous celebrity makeup artist, Matin, used it on Julianne Moore and Claire Danes. Jessica Szohr from Gossip Girls is also a fan. Spotted! Jessica Szohr sampling fragrances from Michael Kors and DKNY at Bloomingdale’s in Los Angeles. We’re told the “Gossip Girl” star was getting a jump start on Mother’s Day shopping, picking out fragrance and other gifts for her mom. Here are photos of Gossip Girl Jessica Szohr testing the DKNY Be Delicious and Island Michael Kors Bermuda scents (photo credit: Wire Image). Mother’s Day is this Sunday (May 10) and you can also pick up these great gifts for mom! 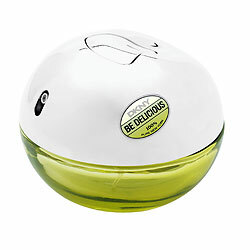 DKNY Be Delicious EDP Spray (1.7 Fl. Oz. / $55.00 SRP): A modern feast for the senses. Served in a sleek metal and glass apple bottle, this juicy fragrance combines the scent of apple with a sophisticated blend of exotic flowers and sensual woods. Like the city that inspired it, DKNY Be Delicious celebrates individuality with refreshing spirit. Looks like Gossip Girl’s Jessica Szohr is a fan of SAMPAR Eye Rule peptide & adenosine under eye cream. Talking Makeup also put it to the test and is also a fan. SAMPAR is encased in a completely air-tight roller ball pen applicator, you apply exactly the amount you need without mess and without letting bacteria in. I found, one pump is enough for both eyes. Better yet, place SAMPAR in the refrigerator for the ultimate cooling and soothing under eye effect. Also, great for travel, you don’t have to worry about spilling. Hello there everyone, here is a great shot of Jane Krakowski who helped to raise awareness for the Piperlime.com’s online charity drive for Soles4Souls. 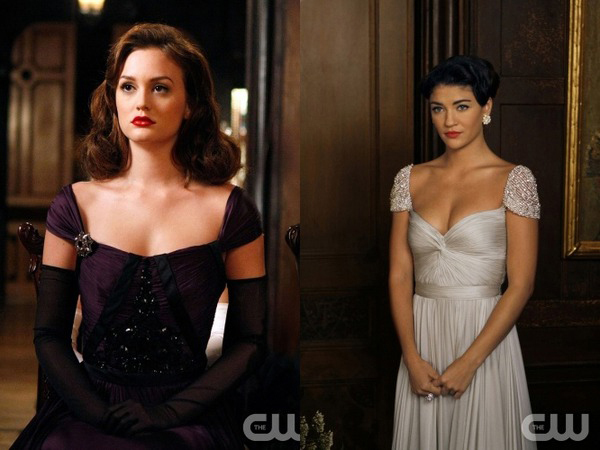 Other celebrities to help out include: Emmy Rossum and Jessica Szohr. Piperlime, a fresh online shoe shop from Gap Inc., offers its customers a hand-picked assortment of more than 150 of the best brands in footwear for women, men and kids, and keeps them in the know with fashion advice from leading style authorities. Free shipping and free returns are standard at Piperlime. Stop by http://www.piperlime.com today.